Chilam Cheung (張智霖) keeps up with a healthy lifestyle for several reasons. 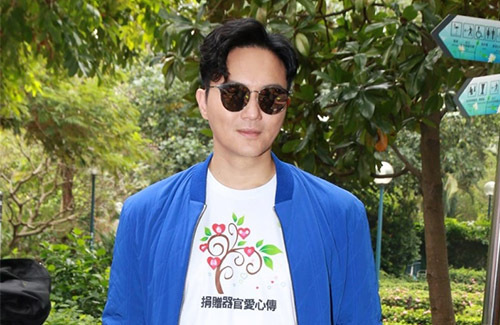 Aside from pledging to a healthy diet, Chilam also wants to keep his own organs healthy for the next person. At an organ donor event in Tsim Sha Tsui, the 47-year-old proclaimed that he is an organ donor, and encouraged everyone to do the same. For a healthy life and organs, Chilam said he has quit tobacco and does not drink alcohol. He said, “I really need to look after my own body some more, because I’ll be giving it to the next person.” The only bad habit he needs to break, he said, is sleeping late. Chilam has also registered to be a bone marrow donator. He shared, “On my way back to Hong Kong for a film, I received a message that a match was found, but I couldn’t return in time. It was my biggest regret.” Chilam said his wife, Anita Yuen (袁詠儀), is also an organ donor. He added that it is important for couples to share the same vision and values in life. In Hong Kong, parental permission is required for one to become an organ donor. Chilam said his mother is very open-minded, and his family supports his decision. He joked that he will take care of his own health as much as he takes cares of his own cars. Good on Chilam and very refreshing. I want to consider being an organ donor too, but my family has been having conflicting feelings about this decision. I also have reservations only because there’s no 100% transparency in how my organs are going to be used post-mortem. Reports on how donor organs are discarded or improperly used makes me a bit hesitant to jump on the organ donating train.